Well, there’s less than a day left now to cast the reader’s votes towards the Bórd Gais Energy Irish Book Awards – voting ends at noon 23 November!! I’m shortlisted in the “Short Story of the Year” category which is sponsored by the Irish website Writing.ie. 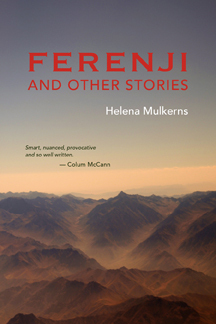 My story is called “Dogs” and it’s from Ferenji, my debut collection of short stories, published by Doire Press of Galway. 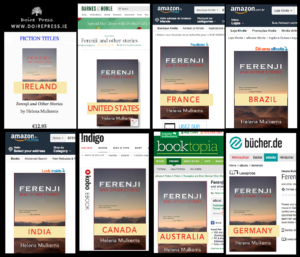 The book was well received and covered in the press, see some of the reviews and features that have appeared in the press about “Ferenji and other stories” HERE. If you haven’t read the book, and would like to, you can order it from most book shops in Ireland, or from Doire Press directly, with free international shipping. If you’d like to buy it from this website, I’ll send you a signed copy for €16.00 postage included or $20 to the United States. Just click here.